The Gospel According to Andre’s biggest problem is that Novack resists digging into any of the many fascinating aspects of Talley’s life. 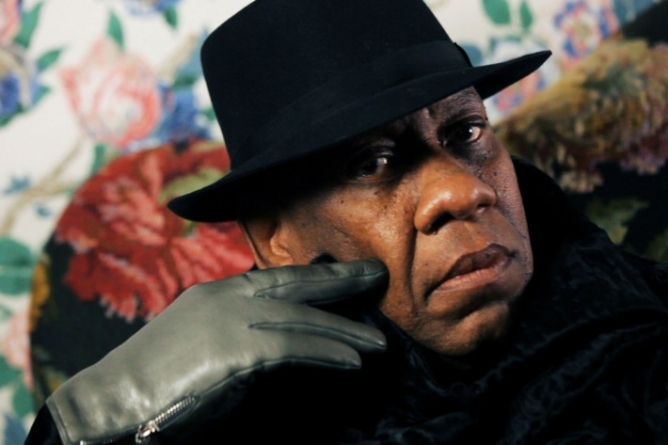 Though he’s best known to general audiences for his role as a judge on several seasons of TV’s “America’s Next Top Model,” Andre Leon Talley’s reputation among others in the fashion and entertainment industries far exceeds that of your typical reality television star. This is evident in Kate Novack’s new documentary The Gospel According to Andre, which features interviews with a variety of fashion titans, including Anna Wintour, Tom Ford, Fran Lebowitz and plenty of others, all of whom sing the tall, dry fashion icon’s praises. Though the film does a solid job of explaining why Talley’s is deserving of this sterling reputation, it limits the audience’s access to its greatest strength, which is Talley himself. The Gospel According to Andre approaches its subject on rigorously biographical terms. We get a good picture for Talley’s younger years in Jim Crow-poxed North Carolina, where he was raised by his grandmother and where he learned to appreciate fashion at Sunday church. From the very beginning, Novack focuses her attention on Talley’s above-average sensitivity and even-further-above-average-aesthetic tastes, factors that allowed him to secure an education at Brown and an early job at The Met. This early portrait of Talley provides a strong foundation, particularly as it draws attention to the pain that Talley faced from being not only black and gay but also conspicuously tall in era where it was safer to fade into the background. The Gospel According to Andre’s most poignant moments come from the joy and sadness that Talley experiences because of his uniqueness. Here is a man whose advice has been sought by Michelle Obama, Venus Williams, Sean Combs and Tyra Banks, but who has also been consistently bullied and harassed from childhood to his present as a man of nearly 70. The Gospel According to Andre’s biggest problem is that Novack resists digging into any of the many fascinating aspects of Talley’s life. She goes for quantity over quality and, problematically, timeliness over entertainment. The Gospel According to Andre would have been much better if Novack has been willing to focus in on and explain a few specific tragedies, triumphs and relationships from Talley’s life. Instead, she provides an overdose of quotes, events and attempts to make Talley particularly relevant for modern times, including a particularly painful segment about Talley’s reaction to Trump’s election. This is compounded by the lack of analysis that often comes with documentaries sporting the approval of their subjects. Though Novack provides glimpses of Talley’s pain, there are few references to mistakes or faults. There is the feeling, true or not, that Talley may have had the final say on what is shown. This robs the experience of authenticity and, more importantly, relatability. Still, Talley himself is a gift. The man is golden on comedic terms alone, his mix of one-liners and haughtily delivered statements blending organically with his inherent relatability and appeal. His uniqueness is his most powerful weapon, yet he doesn’t overdo the quirk in the way that so many famous personalities do. Talley comes across as confidently, completely himself even while despairing over the insecurities and attacks that have plagued him throughout his life. And while they occasionally distract from Talley himself, the quality of those interviewed for The Gospel According to Andre and the thoughtfulness of what they contribute to these interviews is testament to both Talley and Novack. For someone as notoriously closed-off as Anna Wintour to open up on film is quite a coup, yet Novack doesn’t treat it as the major “get” that lesser filmmakers would, choosing rather to naturally blend all of her film’s expository information into an organic whole. Though everyone seems to have something lovely to say about Andre Leon Talley, The Gospel According to Andre spreads its attention out evenly, even when that takes the focus off of the subject himself.